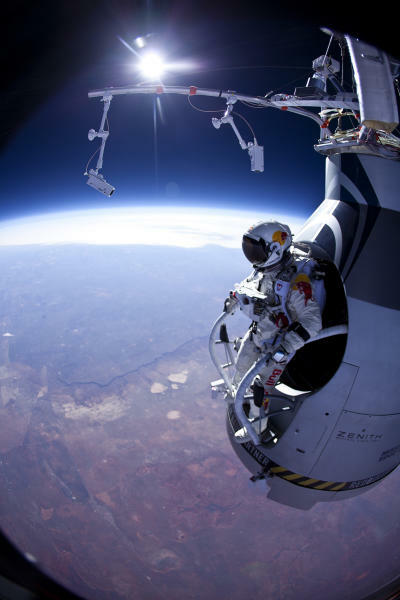 On Wednesday, Baumgartner took another stratospheric leap, this time from an altitude of more than 18 miles — an estimated 96,640 feet, nearly three times higher than cruising jetliners. He landed safely near Roswell, N.M. His top speed was an estimated 536 mph, said Brian Utley, an official observer on site. Longtime record-holder Joe Kittinger jumped from 102,800 feet — 19.5 miles — in 1960 for the Air Force. Kittinger monitored Wednesday's dry run from a mini Mission Control in Roswell. 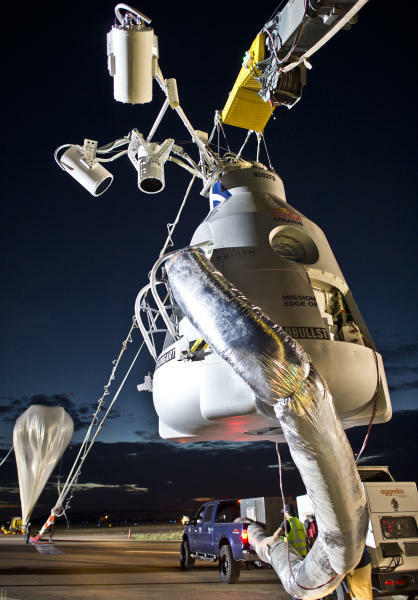 As he did in March, the 43-year-old Austrian ascended alone in an enclosed capsule lifted by a giant helium balloon that took off from Roswell. He wore a full-pressure suit equipped with parachutes and an oxygen supply — there's virtually no atmosphere that far up. It took about 1½ hours to reach his target altitude. 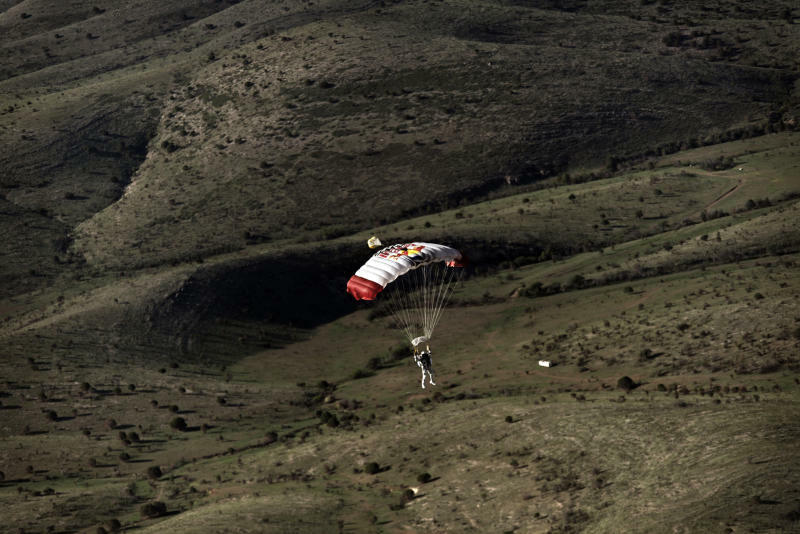 He was in free fall for an estimated three minutes and 48 seconds before opening his parachutes. Baumgartner won't come close to space, even on the ultimate jump that's planned for late August or early September. Space officially begins at 100 kilometers, or 62 miles — more than 328,000 feet.